All dark themes on ipsfocus come with a "dark editor" theme, which restyles the white editor so it matches your dark theme. To install a new theme on your community, go to Admin Cpanel > Customization > Themes. At the top right, select the + Add Theme button. From the popup box, choose the Upload Theme tab and select the .xml file from your computer. Once it has processed, you'll be returned to the Theme list. To set the theme as default, click the Edit button and enable the Default theme? switch. To make the theme visible for all members (suggested in most cases), select the All box under the Available for list. Some skins may also come with a replacements file. If so, just use the same step that you see below for your replacements file. Login to your forums admin control panel, and choose "Import/Export" from the "Look & Feel" menu. Next to the "Upload XML(Archive) Skin Set" field, browse for your skin.xml.gz file. You can optionally specify a custom name for the skin under "New Skin Set Name". Click "Import Skin Set". Next, scroll down to "Import Image Set". Browse for the images-skin.xml.gz file. Once again, you can optionally set a custom folder name for the images. If so, do not enter spaces in the folder name. "Skin images" will create errors. Instead, use something like "skin_images". Next to the "Apply To Skin Set" field, select the skin you imported in the previous step. This will assign your template files and images together. 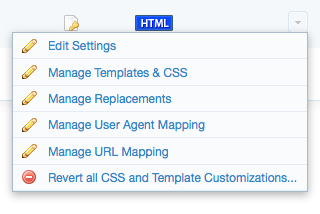 Next, choose "Edit Settings" from the drop down menu next to your skin. To make your skin default and available to all members, make sure your page looks something like this (take particular notice of "Select ALL current and future groups or...", "Make this the default skin?" and "Hide this skin from the drop down list?"). Press "Save Set" and your skin will be installed and ready to go! You don't have permission to access /backend/ on this server. Jup by Editing the Skin Files i see an error ... !!! This is an error from your side, not mine. It's working fine for me, also this skin is only for 4.0.10.2 + versions. Not my Site error Trust me i know what i do ! Justification: Pattern match "\\bbackground-image:" at ARGS:core_theme_setting_title_309. My Provider has an aggressive WAF ! We have detect it as XSS Attack ! Better fix it more ! Did you try it after updating to 4.0.11? When I add menu pages the icons are pages. It looks very ugly. How do I change this? Also for the facebook icon how do I change the url? http://prntscr.com/9luoks this happened for me?